The end-of-the-year holiday season can spell “dental danger” for several reasons: time pressures, stress from work or family, and increased consumption of sweets and alcohol. Simple Smiles Dental wants you to maintain good oral health through this season of dental danger. Here are some suggestions to remember during this time. To begin with, monitor your intake of sweets and alcohol. If you notice a dramatic increase, then back off for a while. Bacteria that damage teeth and cause gum disease are strengthened by the extra fuel of increased sugars and aided by conditions that alcohol produces. Resisting that extra sweet or drink might be easier just by remembering that fact. Next, don’t forget your normal home care habits: floss once and brush twice per day. In fact, you should increase your home care. Take a portable toothbrush kit with you to use after all snacks and meals. Rinse your mouth you eat or drink anything. Make time to work out, not just to stay in shape, but to help deal with additional holiday stress. Lastly, think about others and how you can help them improve their oral hygiene. Spread good dental home care habits to all the children in your life by teaching them consistent and proper dental care. There may be elderly people in your life that could use assistance with their oral hygiene but may be afraid to ask for help. Make it a family tradition to have an early January dentist visit. Take care of any little problems that may have developed by seeing your dentist early in January to avoid having to deal with big problems in March. 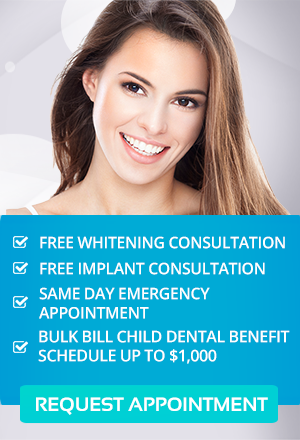 Schedule an appointment with Simple Smiles today to keep your smile safe and bright.